*Disclaimer: Thanks to Jo-Ann Stores for providing the materials for this post. All opinions are my own. 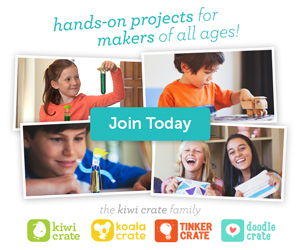 Need a great craft idea for you and your kiddos to create together this summer? The Cape Discovery Catalog from Jo-Ann Fabric and Craft Stores is a perfect source for crafty inspiration! Paint the inside of the box blue and brown to serve as the sky and dirt backdrop for your rainforest. The kids will love helping with this part. 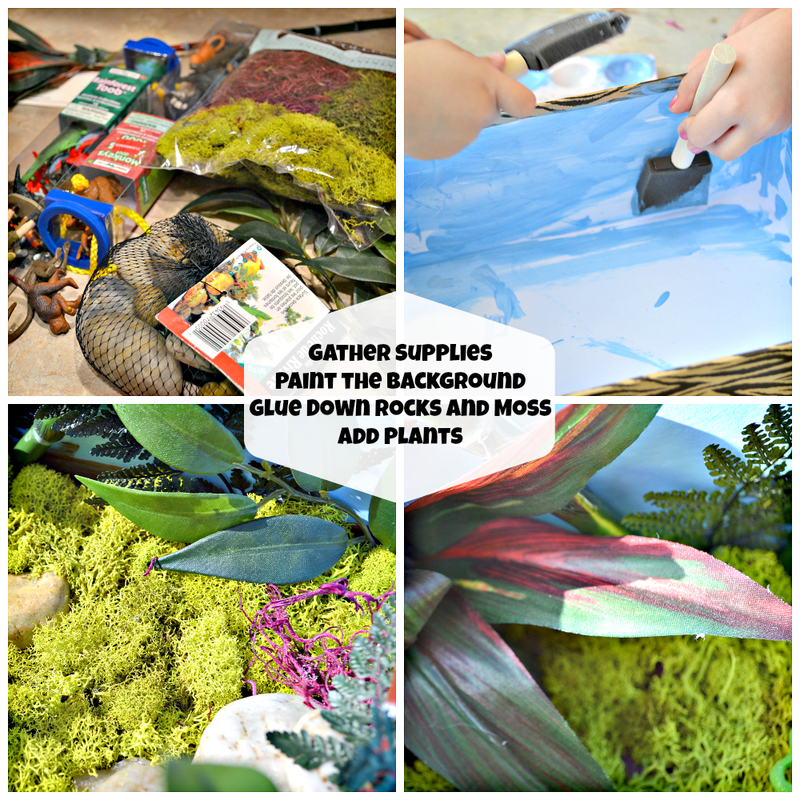 Use the hot glue gun to glue down the rocks and moss. Stack some of the rocks on top of each other even having the moss "creep up" on them. Use the wire cutters to cut your leaf and bamboo greenery into pieces. I made our pieces a little smaller than the height of the box. 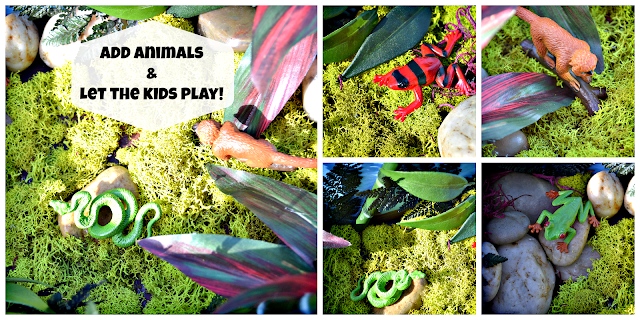 Glue ferns and your bamboo and leaf pieces around the rocks and along the inside of the box. Note: Since my kids are little, I operated the hot glue gun and wire cutters. The ferns were thin enough for them to break into smaller pieces. And they were also more than capable of helping me place the items onto the glue. Give the kids the Toob Animals to place into their new "home". Extend the Fun into Learning! Making and playing with boxes like these aid in sensory, tactile, and fine motor skills. They also foster creativity and imaginative play. 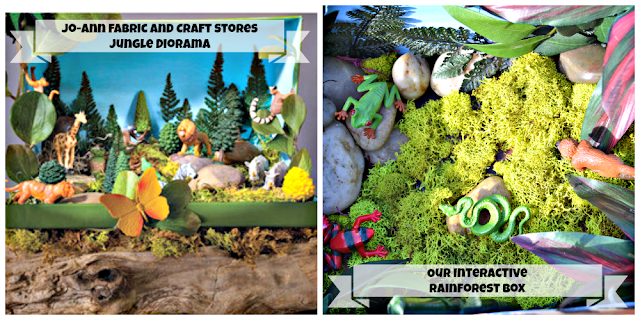 Here are a few supplemental websites on the rainforest to implement into this activity. Would your kids enjoy this activity? What other kinds of interactive boxes could you make? Let me know your ideas in the comments below! This is such a great idea and I love how the kids can help make it. We have tons of those Toob animals, so this would really come in handy. 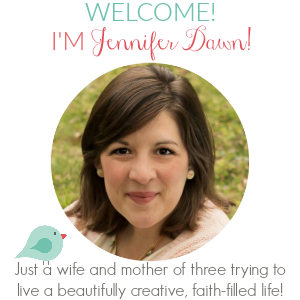 Pinning this - would love for you to link up to my Craftastic party too!